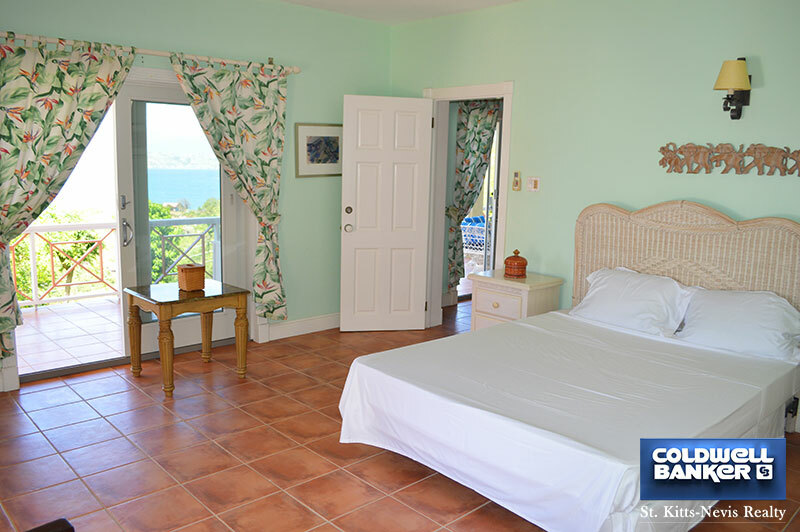 This amazing well appointed 5 bedroom, 5 bathroom villa with swimming pool and tennis court on 1+ Acres of land is located in Oualie Bay on the West Coast of Nevis. 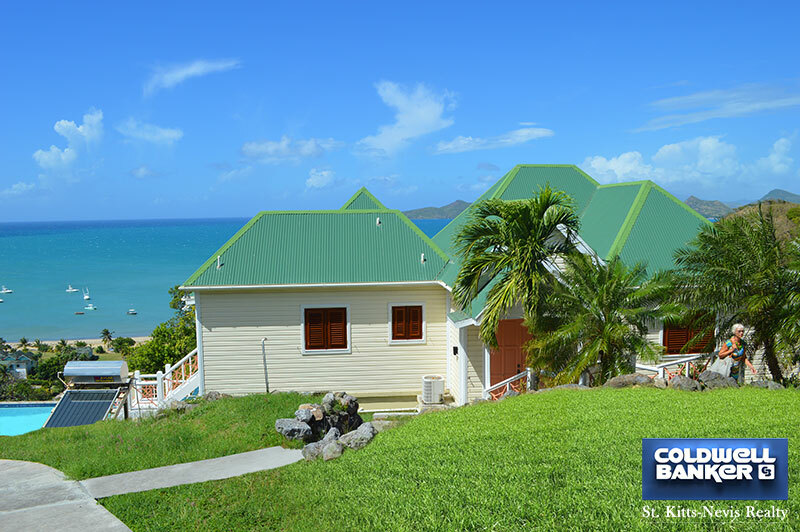 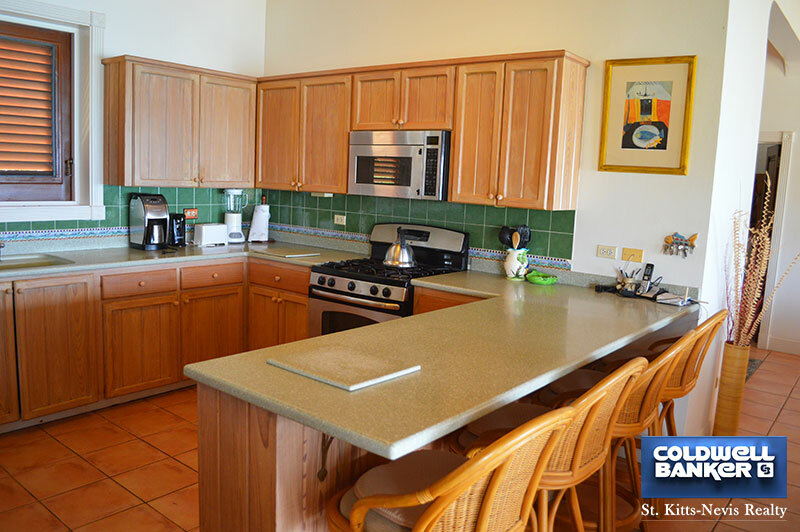 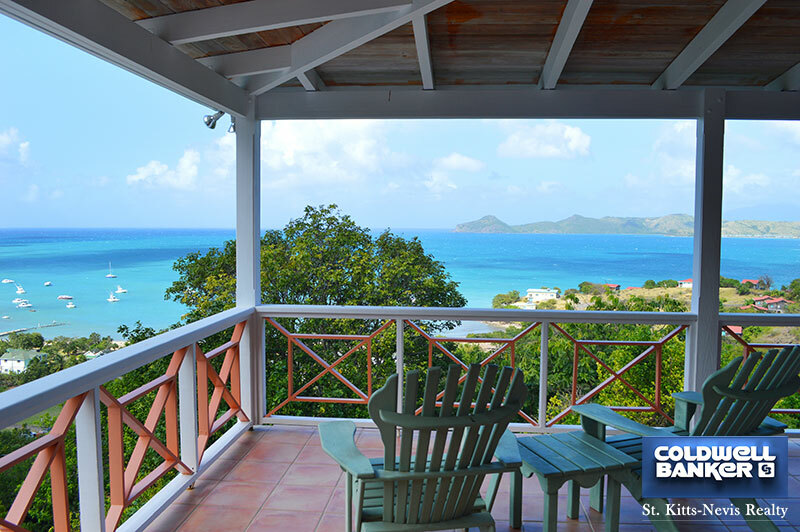 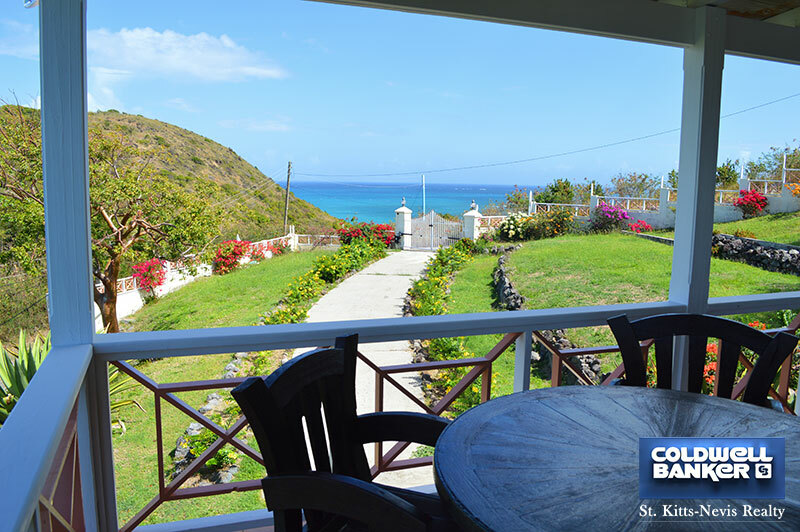 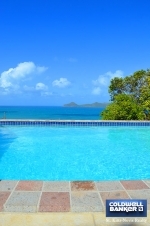 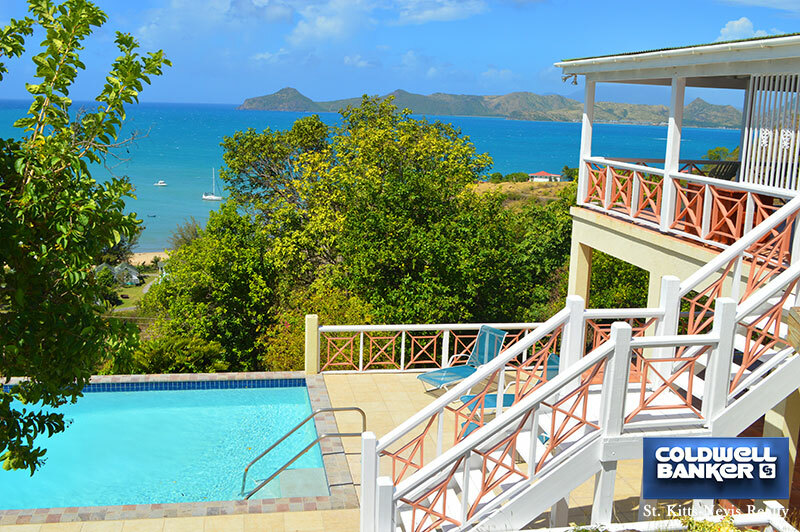 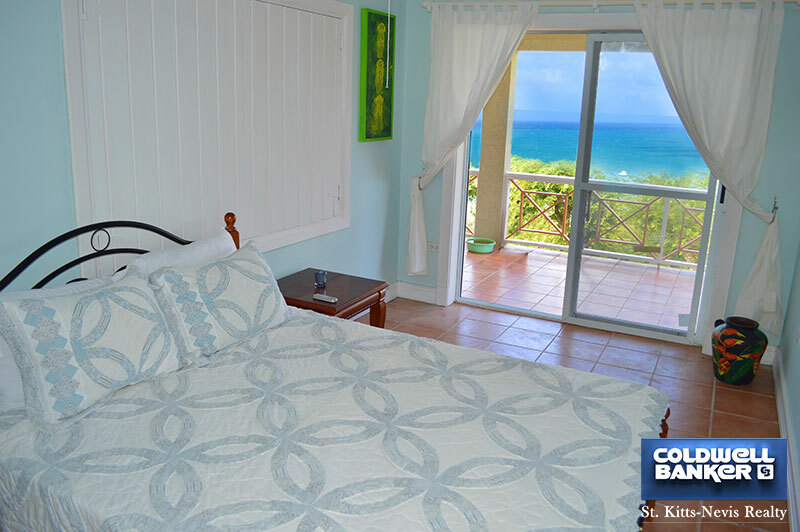 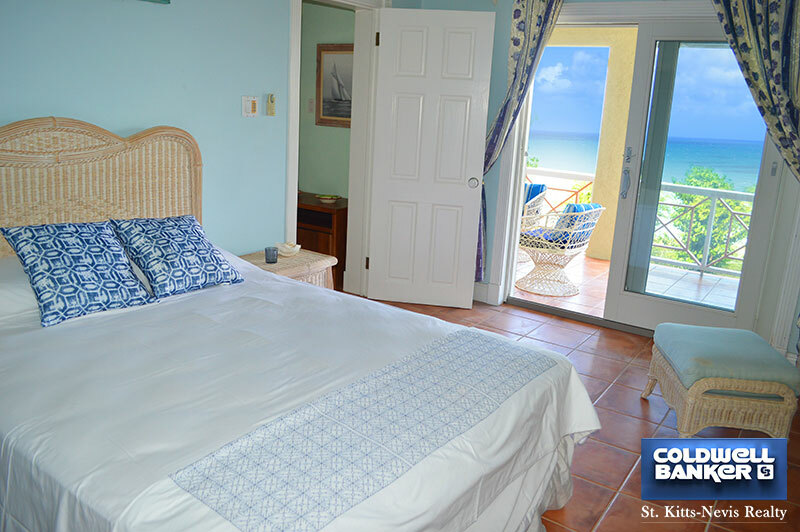 Perched high, the views from Bay Roc across the Caribbean Sea to sister isle St. Kitts are fantastic. 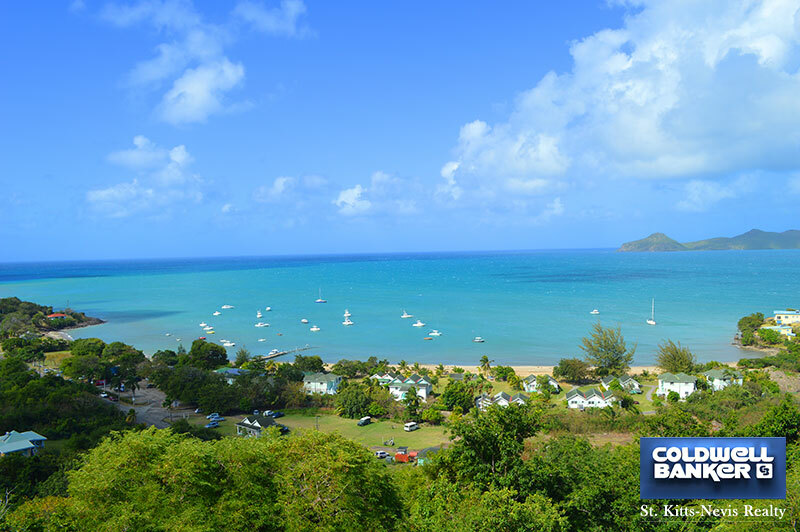 The various boats that come and go make it animated and more interesting to watch. 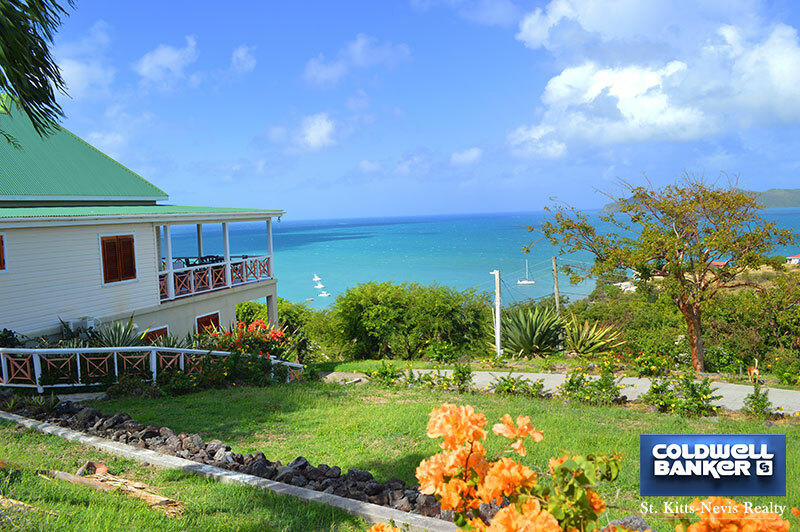 Views of the sunsets add to the splendour of this location. 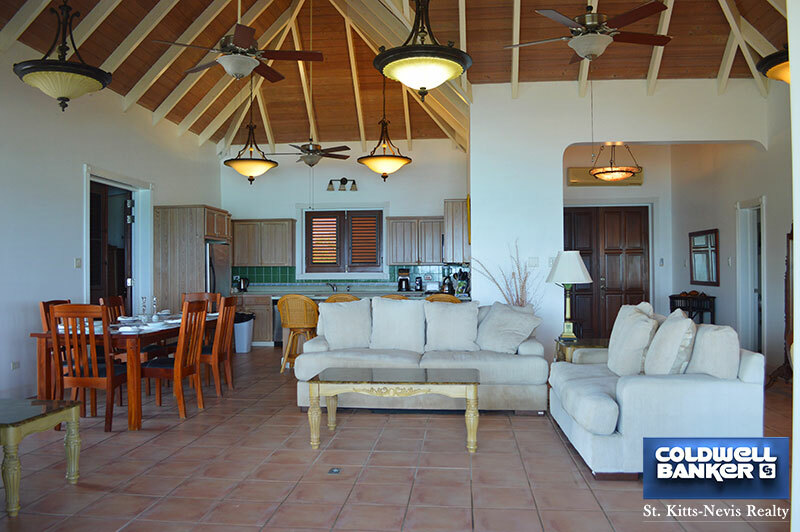 The hall entrance to the main level is in keeping with the spacious living/dining and open kitchen area. The great room opens onto the large veranda that wraps around three sides of the villa. 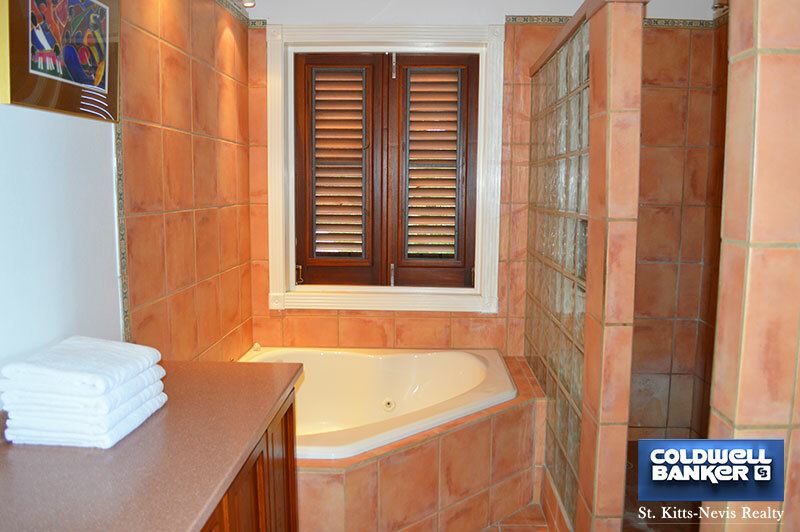 On the main level the master bedroom has an ensuite bathroom with bath and shower. 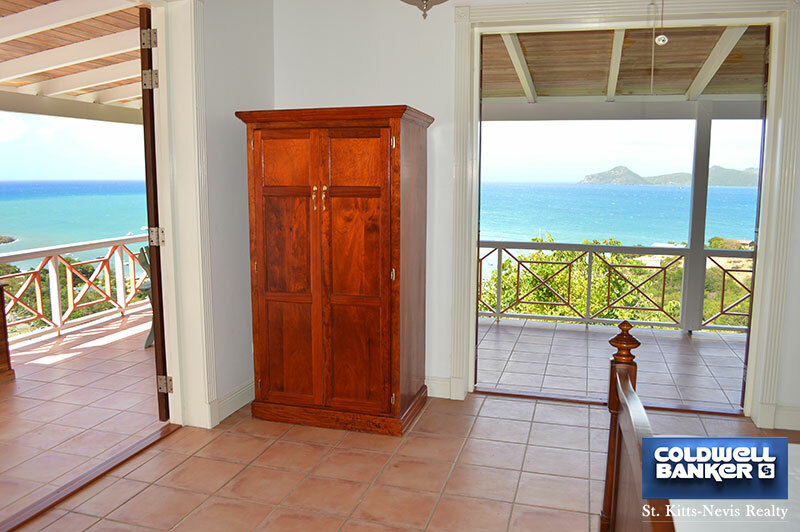 Views from the bedroom give a feeling of being out on the sea. 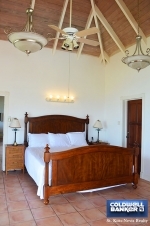 The bedroom opens onto the veranda. 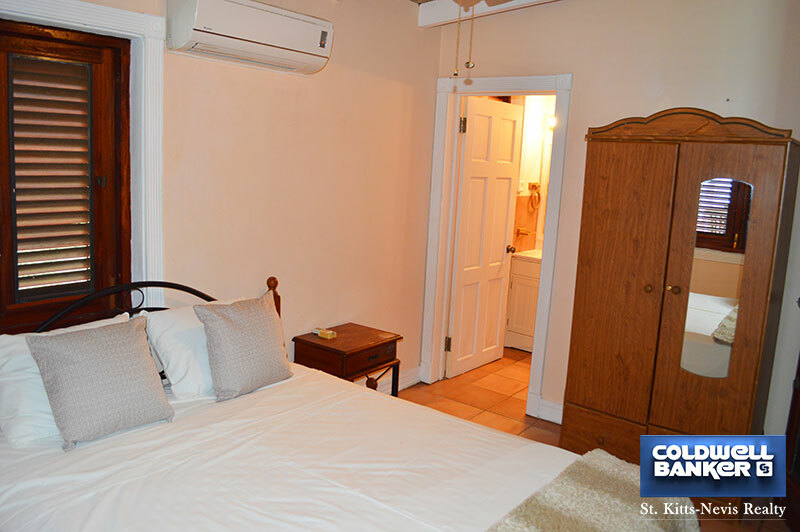 There is a second bedroom with ensuite bathroom on the main level. 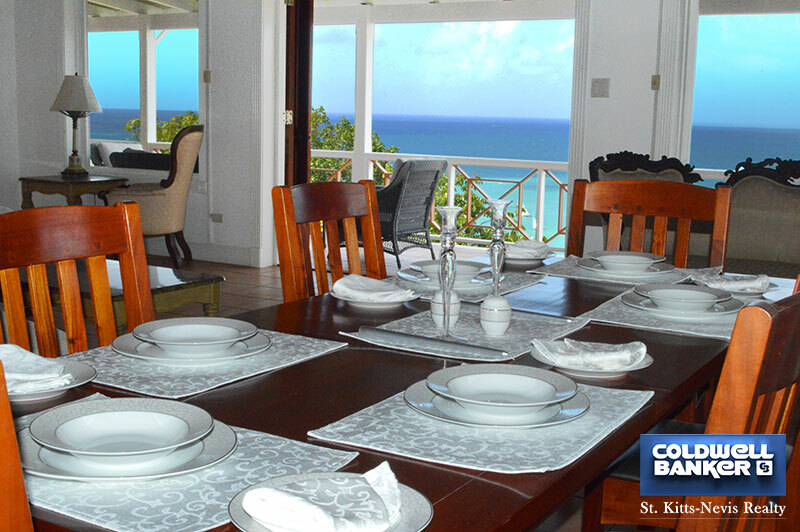 The lower level consists of a living/dining and open kitchen area and three bedrooms each with ensuite bathrooms. 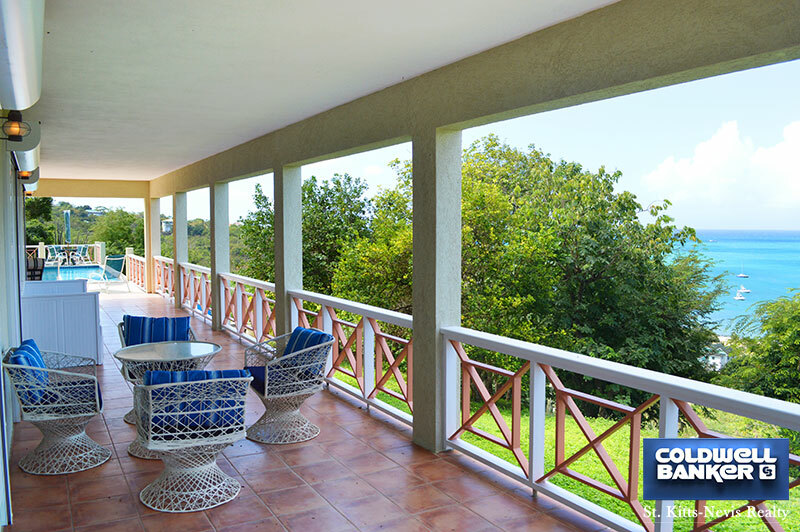 The views from the veranda on the lower level are great. 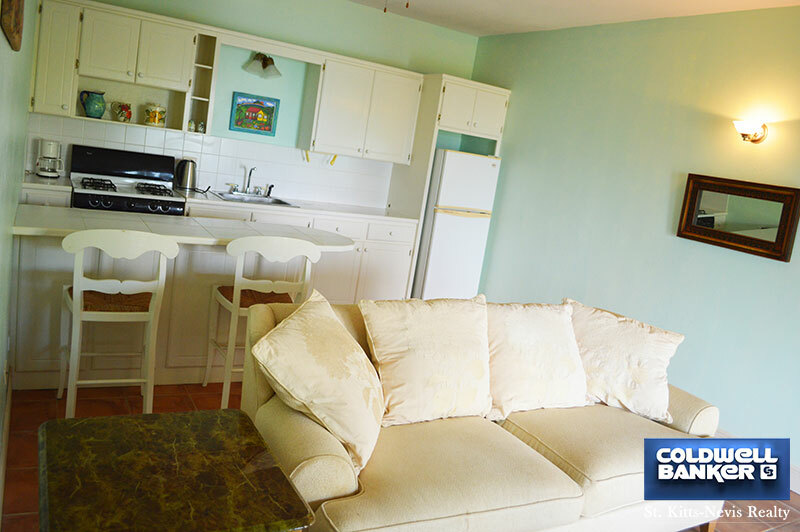 The lower level has a laundry room with washer and dryer. 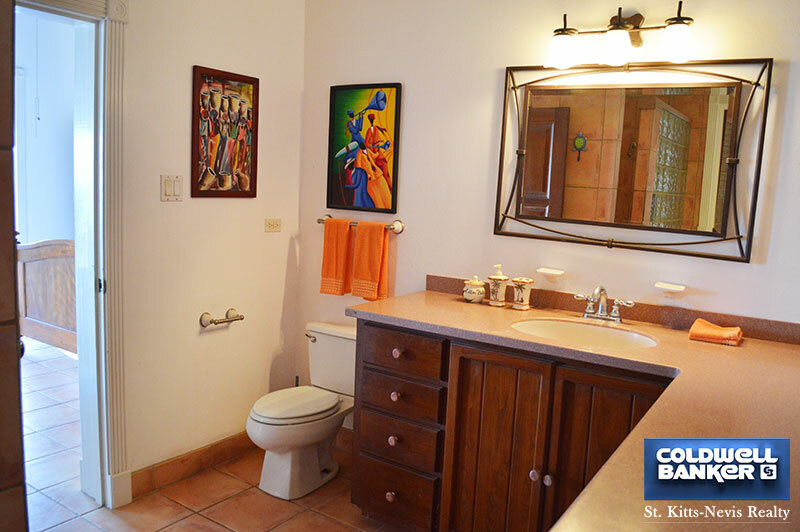 There is a cistern, a generator and a solar water heater. 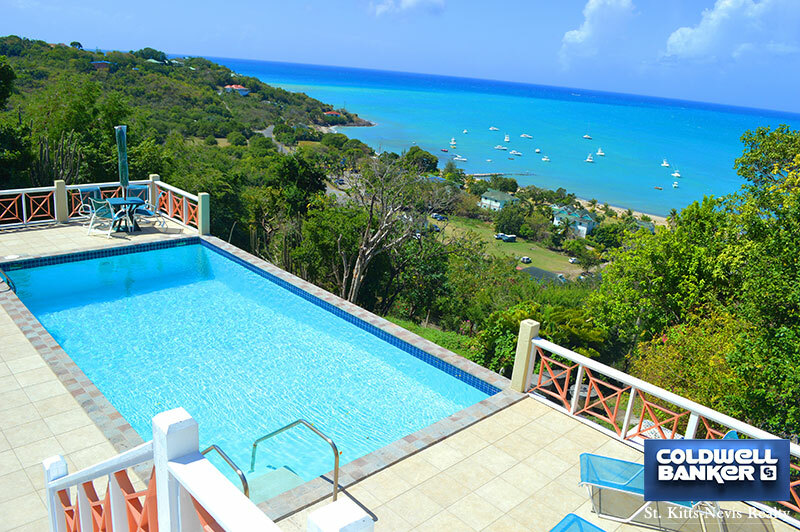 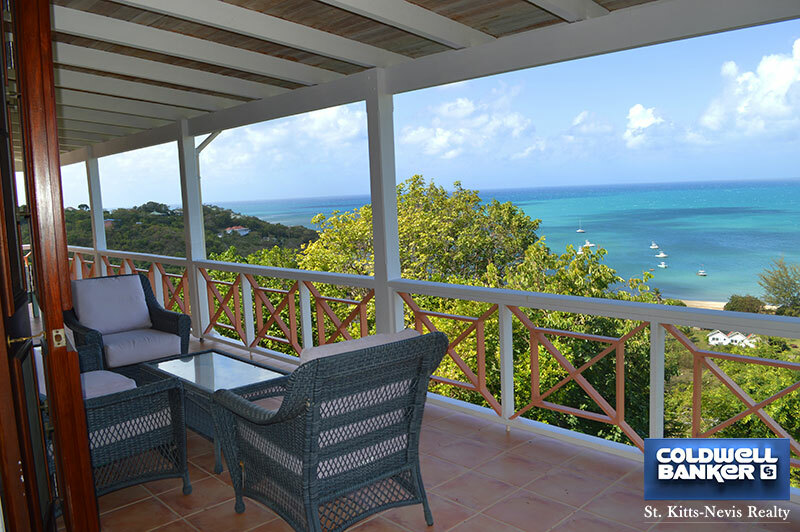 The large 15’ x 30’ swimming pool with sundeck provides superb views. 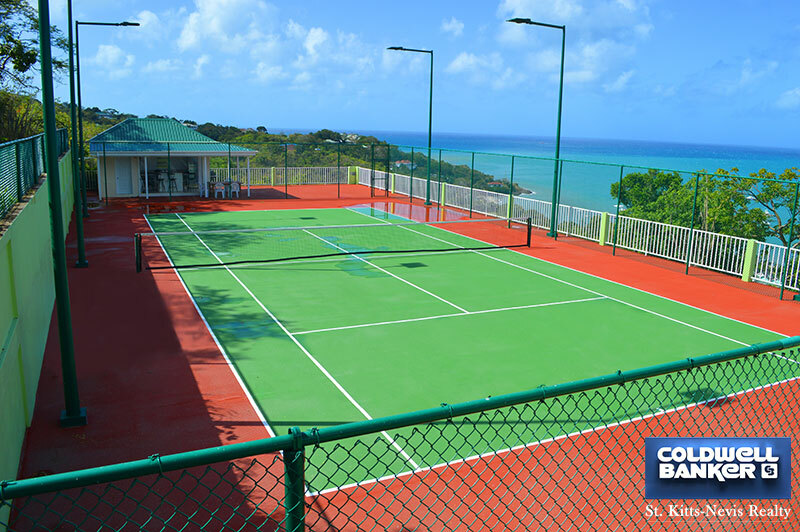 The recently built entirely fenced tennis court is situated higher up and the views are spectacular. 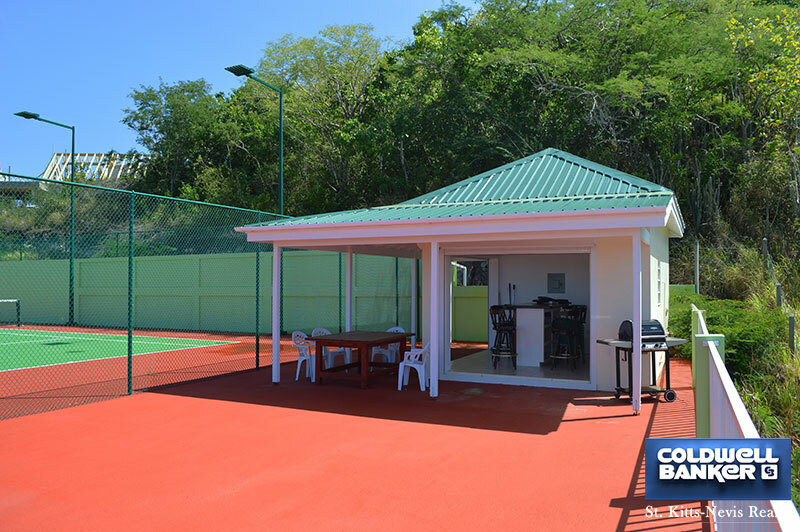 The tennis court has lights for those who prefer to play when cooler. 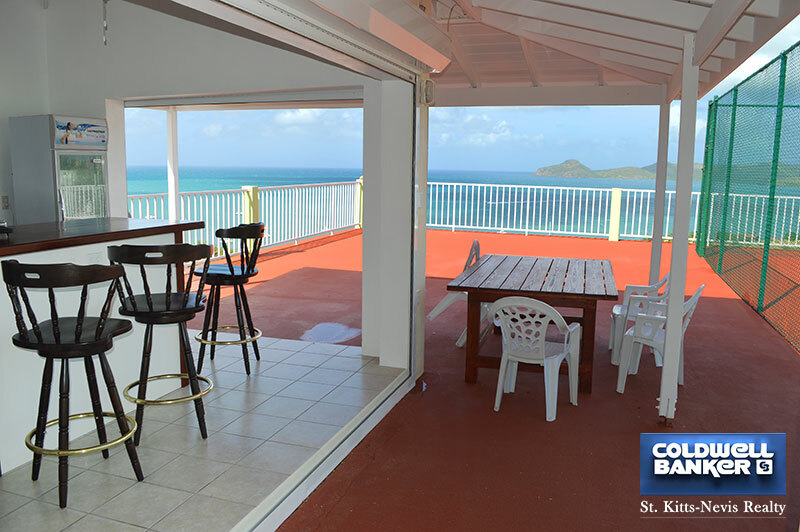 A bar with kitchenette and sitting area make it the perfect place to relax and enjoy a cool drink after a game while watching the sunset or gazing at the stars. 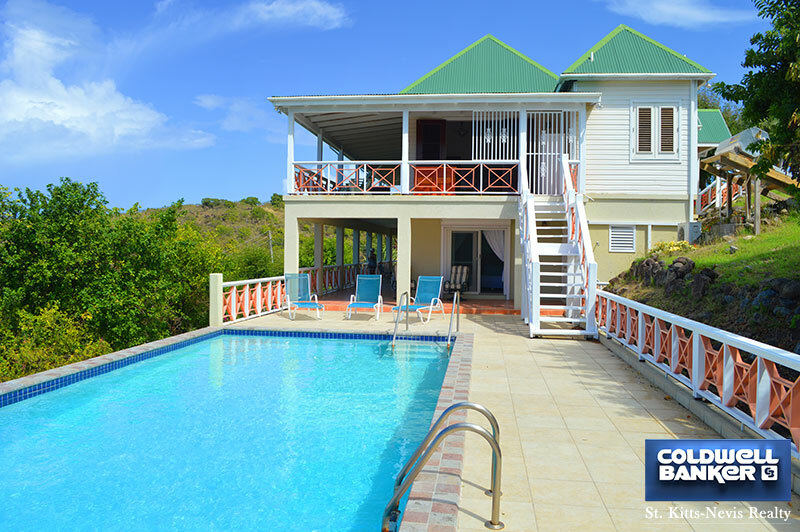 With 360 degree views, large swimming pool and sundeck, tennis court with lights, bar and sitting area, this 3,000 square foot villa with 5 bedrooms and 5 bathrooms just four minutes walk to the Oualie Beach is a very unique property and the perfect family home or great holiday villa with ample space and facilities for entertaining.